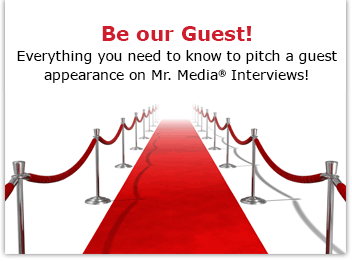 Watch this exclusive Mr. Media interview with Ben Tausig, crossword puzzle editor at the American Values Club and author of The Curious History of the Crossword, by clicking on the video player above!Mr. Media is recorded live before a studio audience that includes people who can read words backwards and forwards, tell you the meaning of anything and correctly spell onomatopoeia – but can’t balance a checkbook… in the NEW new media capital of the world… St. Petersburg, Florida! 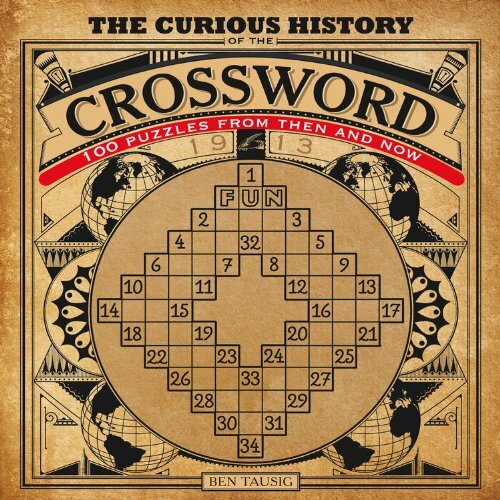 Order ‘The Curious History of the Crossword: 100 Puzzles from Then and Now’ by Ben Tausig, available from Amazon.com by clicking on the book cover above! My wife is the games player in our house. And my life – and ego – were a lot less stressful when I accepted that she could beat me at pretty much anything that challenged the brain, from crosswords to Sudoku, checkers to chess, and even from backgammon to Monopoly. That’s why I rarely attempt to solve puzzles any longer in her presence. She always finds the right words and gets very competitive and impatient if I can’t do one as quickly as she can. Doesn’t bother me anymore; I’m actually proud of her. And my daughter’s mind seems to work much the same way; when she applies herself, I see glimpses of a mind that will one day be faster and sharper than either of ours. The world, it seems, is one of constructors and solvers. And I am on the outside, looking in. But whether you like crossword puzzles or not, it’s hard not to be fascinated by their construction and grace and, for the writer in me, the crisp, efficient language engaged to prompt and tickle the reader. That’s what drew me to Ben Tausig and his new book, The Curious History of the Crossword. The bedrock of almost every major and minor English language newspaper around the world, the crossword celebrated its 100th anniversary in 2013 and Tausig’s Curious History is packed with short, precise clues and even a number of full sentences. It also reproduces more than 100 classic crossword puzzles. 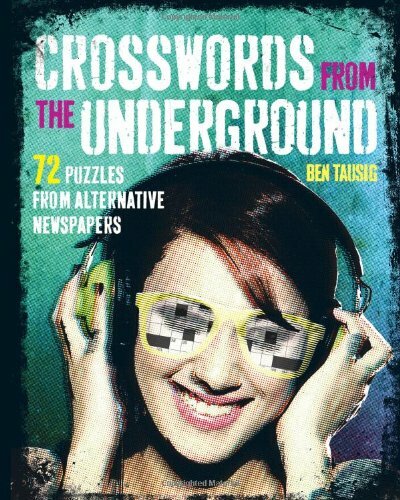 Order ‘Crosswords from the Underground: 72 Puzzles From Alternative Newspapers’ edited by Ben Tausig, available from Amazon.com by clicking on the book cover above! page dailly and obtain good facts from here everyday.